Happy New Year, friends! Are you one of those people who chooses a word that inspires you at the start of every new year? A word that will help you stay true to your path? I love the anticipation of claiming a word that motivates me to get moving in the directions of my dreams, even if it means not playing it safe. I don't mean diving in with reckless abandon and ignoring important priorities in life for the sake of success alone. I'm talking about puzzling your way through how to bring your plans, goals and dreams into fruition and plowing through the fear one small step at a time. I often think we make things much harder than they need to be so we sit on ideas much to long before taking action in exchange for waiting for the perfect time to start something new or finish something old. I have been guilty of this, but heck, I'm 55 now and I don't have that kinda time anymore. That's why I chose the word FEARLESS for my touchstone word for 2017 and I meant to hold myself accountable. Here's how I'm gonna do it. Every time I have an idea I'm going to write it down, then I'm going to puzzle out how I can make it happen with pen and paper right then and there instead of waiting an thinking, and thinking and waiting. I'll make a short list of steps I can take to get the ball rolling. I'm a firm believer that we all have the power to work in unison with the universe to manifest whatever it is we desire in life but it takes practice and practical application to get results. We must be dedicated, passionate, AND FEARLESS! Here are a few things I plan to be 100% fearless about in 2017. First of all, I'm going to continue to listen to my flowers. You read that right. I LISTEN to my flowers. When I trust the direction they take me in I always feel as if I'm being true to my path even if it's scary because I'm trying something for the first time. There's a bit of thrill in throwing yourself into the unknown which I admit I kind of like sometimes. WRITING~ I'll let you in on a little secret. I'm writing a book about my backyard flower farm. 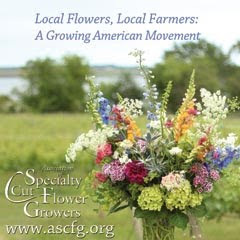 I've queried (and been politely rejected) by some of the top book publishers in sustainable farming and gardening genre's. It's frustrating to be rejected over and over especially when you believe you have something you want to share and you know others will benefit from it. So I'm just gonna self-publish the darned thing because I believe in it that much. 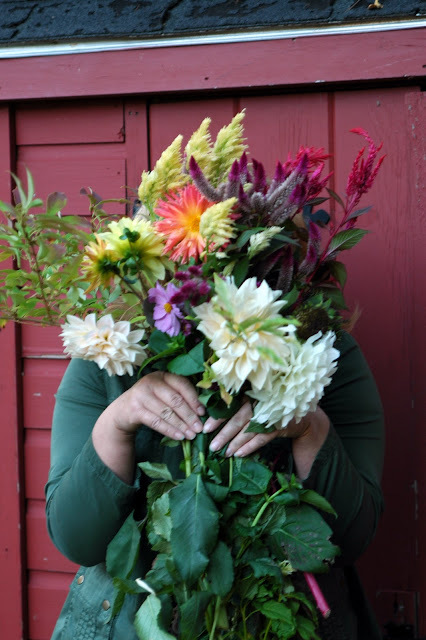 So, my first " Fearless Flower Farming act will be to take action on completing and publishing my first book. 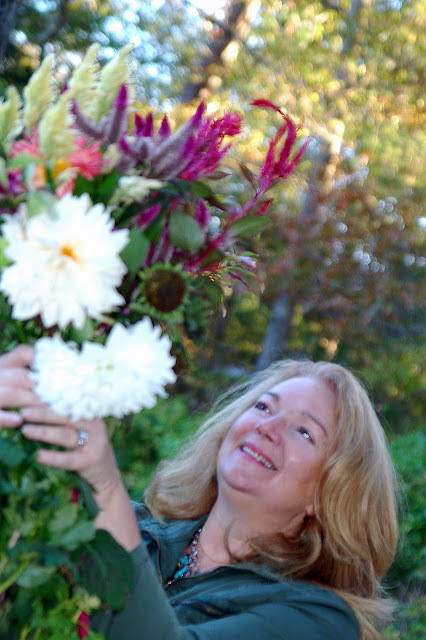 I'll share how I started farming my backyard in 2012 with lots of nitty-gritty info to get you started on your way to an ever expanding cutting garden for your own personal enjoyment and steer you into small scale backyard flower farming for profit. My hope is that you'll find it to be an inspirational, useful guide in your gardening endeavors for years to come. What topics would be of specific interest to you? DESIGNING~Make that two little secrets. I've had the urge to dabble in painting my flowers for some years now, but just hadn't gotten around to buckling down and making it happen. I've always thought it would be neat to design products for home and garden use. The world is your oyster when it comes to mediums for creating art and how you blend them to make it your own. 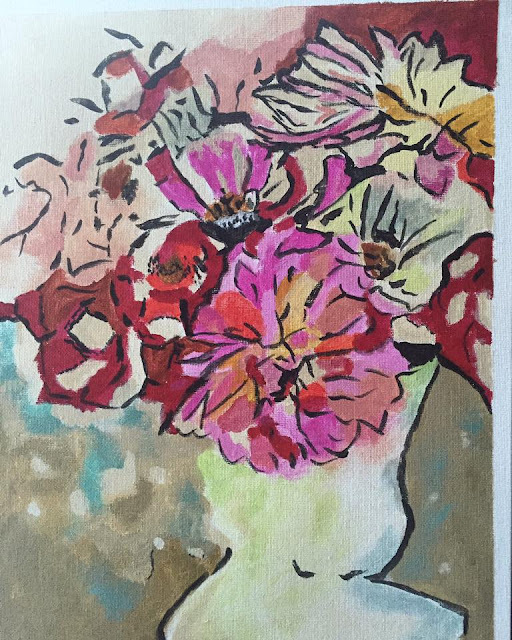 I've discovered a fun way to paint flowers like I've always wanted to. This is one of my all time favorite images of an arrangement I made one afternoon while just playing around with different vases and flowers. In this image I was experimenting with using a vintage glass flower frogs for stabilizing flowers with shorter stems. And the finished acrylic painting of the same image below. I can't tell you how gratifying it was to get that out of my system! Now I'm ready for the next one and the next one after that! I can see this on the cover of garden journals, paper goods, fabric, scarves, stationary, note cards. Some of my facebook friends suggested tote bags and bed linens too! 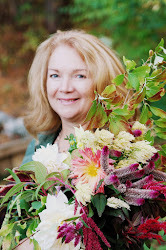 TEACHING~ For me, the growing part of flower farming is easy. I love to be outside amongst the flowers wearing God knows what, no makeup, sweating up a storm without a care in the world. I'm happiest that way, but there's a part of me that longs for sharing what I've learned and helping others achieve their dreams too. No more hiding behind the flowers! No more waiting for the perfect place or time.This is the year I'll really start my workshop series. Plans are in the works for a series of workshops here on the farm in my newly constructed studio. 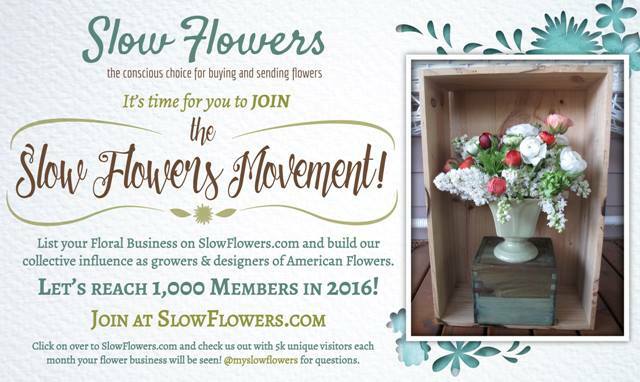 I'll be recruiting some local flower farmers and floral designers to co-host with me. Interested in collaborating? Drop me an email! Backyard Flower Farming 101, Dahlia Days, Mums and Me Workshop, and one or two more if I can squeeze them in. ( fingers crossed it's up and ready by the first of June). If not, we'll put up an Easy-up tent and do it anyway! I'll keep you posted on dates and times. 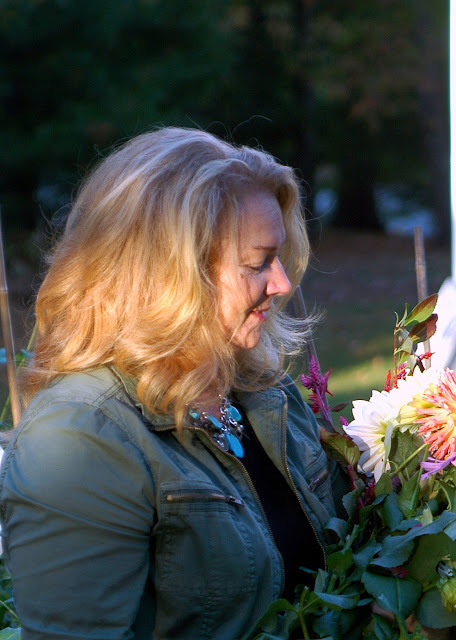 Naturally I'll be trying new varieties of cut flowers this coming season and I'm anxious to share my planting list with you in my next post! In the meantime, go out there and be fearless in the pursuit of your dreams!